At about 11:45 AM on Tuesday, May 26, 2015, officers assigned to the B-2 (Roxbury) Community Service Office under the direction of Sergeant Silta proactively seized seven dirt bikes from the Mission Main housing development. The officers were on patrol in the area due to numerous complaints of dirt bikes and motorcycles operating recklessly. Members of the community stepped up and informed the officers that several of the offending bikes were being stored on the property. 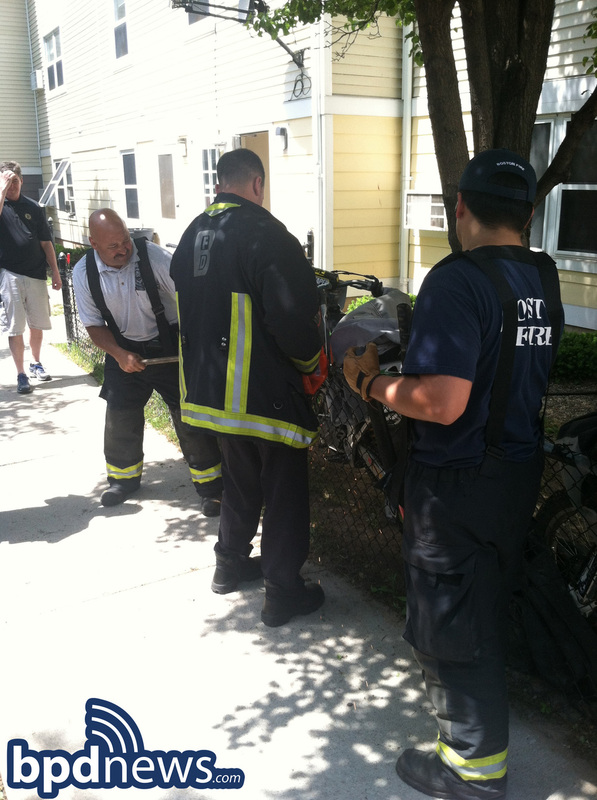 Officers located the dirt bikes hiding under tarps, locked and chained to a metal fence. These vehicles are not allowed to be driven on the street, or parked within ten feet of a dwelling. Members of the Boston Fire Department (Engine 29) responded and assisted the officers in cutting the heavy chains off leading to the recovery of seven dirt bikes. This seizure comes one week after Commissioner Evans appealed to the community to help police by informing them if they knew of any bikes being stored illegally. The message was apparently heard in Mission Main, where a tip from the community made all the difference.